An Israeli court on Monday evening decided to extend the detention of the Palestinian citizen Huda Oudeh, 40, to next Thursday. A Jerusalemite source reported that Huda , the mother of the Palestinian prisoner Mohammed Oudeh, was arrested at dawn Monday from her house in Silwan town in Occupied Jerusalem. Mohammed Oudeh was arrested in 2002 and is serving nine life sentences and a further 40-year sentence in Israeli jails. Israeli soldiers invaded, Monday, a Palestinian school in Beit Hanina neighborhood, north of occupied Jerusalem, abducted the principal along with three female teachers, and shut the school down. 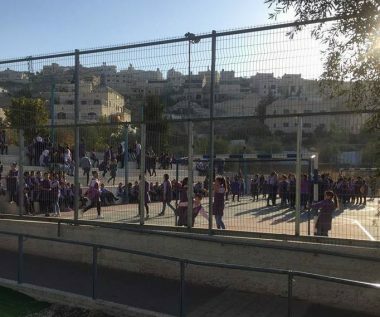 The Union of Parents Committees in East Jerusalem Schools said many soldiers invaded Zahwat al-Quds School, in Beit Hanina, causing anxiety attacks among many children, and abducted the principal, Mona al-Karawi, and two teachers, before taking the three women to an interrogation center. The school later announced receiving an order issue by the City Council, shutting the school down, and informing the families that they needed to transfer their children to other schools. The school and the Union of Parents Committee called for a protest, on Tuesday morning, in the school, to condemn the invasion into the educational facility, and the abduction of the principal and the teachers. The Palestinian Prisoners’ Society (PPS) has reported that Israeli soldiers have abducted, earlier Monday, at least eighteen Palestinians in the occupied West Bank, during extensive and violent searches of homes, and one at the Erez Terminal, in northern Gaza, while three others were taken prisoner in Jerusalem, on Sunday at night. Several Palestinians were kidnapped by the Israeli occupation forces (IOF) at daybreak Monday in abduction sweeps rocking the West Bank. Reporting from Tulkarem, a PIC news correspondent said three Palestinians were kidnapped by the IOF from their family homes in the city, shortly after the latter broke into the area and ravaged civilian homes. The list of detainees included 50-year-old Iyad Jarad and 16-year-old Mohamed Abu Saqafa, the son of the slain Palestinian activist Muhannad Abu Saqafa. At the same time, Palestinian woman Zeinat Halaykah, 50, and her brother, Ali, were kidnapped by the occupation soldiers from their family homes in al-Shoyoukh town, in al-Khalil, her husband, Adel, told PIC. The IOF also wreaked havoc on Halayka’s family homes and seized two mobile phones and cash. Mrs. Halayka is mother of five children. Her other brother, Hamza, is serving a 17-year-sentence in Israeli jails. Meanwhile, the IOF soldiers rolled into Jenin’s western town of Yamon in army jeeps at the crack of dawn and rummaged into Palestinian homes. A series of ambushes was set up by the occupation soldiers in the assault. Clashes further burst out in Ramallah’s northwestern town of Beit Rima after Israeli army troops showed up in the area and searched civilian homes. 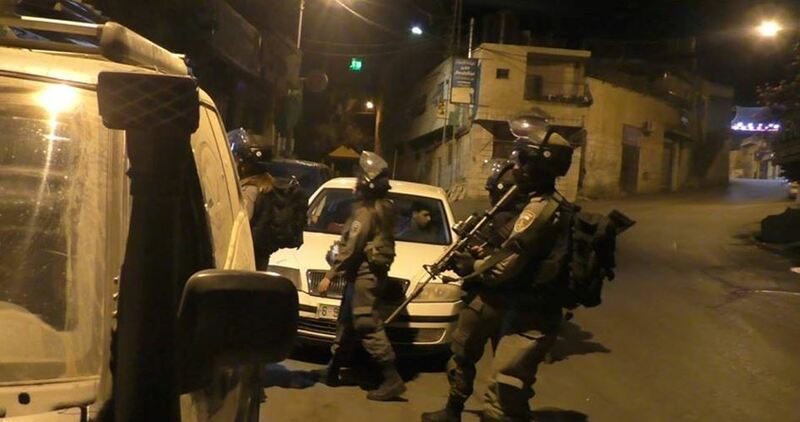 A round of clashes was also spotted in Bethlehem’s refugee camp of al-Azza. 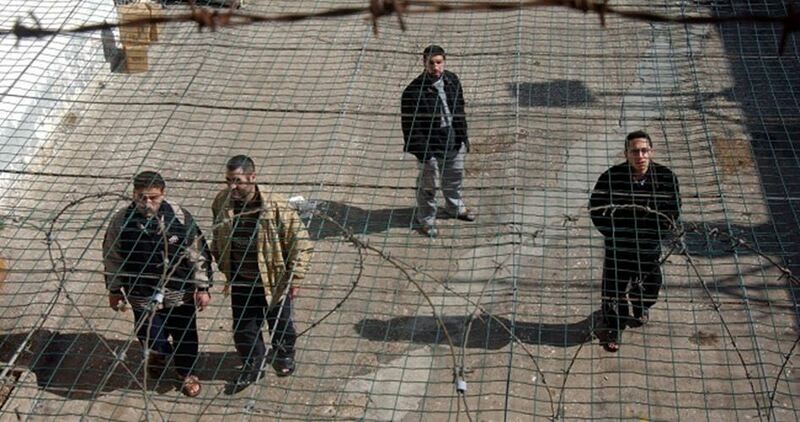 Three Palestinian prisoners continued their hunger strikes in Israeli prisons to demand an end to their administrative detention, according to which they are illegally held without charge or trial. Hassan Shokeh, 29, from Bethlehem, declared hunger strike on October 11 against his imprisonment without charge or trial. Shokeh was detained by Israeli forces in late September, less than one month after his last release from Israeli prisons on 31 August, and ordered imprisoned for six months without charge or trial. Bilal Diab, former long-term hunger striker from Kafr Ra’i town near Jenin, has been on hunger strike for 22 days. Diab, 32, previously conducted a 78-day hunger strike with Thaer Halahleh in 2012. After being re-arrested by Israeli forces on 14 July 2017, he appealed against his imprisonment without charge or trial. However, his appeal was refused on 17 October, prompting him to launch his hunger strike. Along the same line, Hamza Bouzia, from Salfit, declared hunger strike in protest against his detention without charge or trial under administrative detention. He has been refusing food for 18 days to demand his immediate release. A human rights group has raised alarm bells over the deteriorating health status of Palestinian prisoner Motassem Radad, held in Israeli jails for over 10 years. 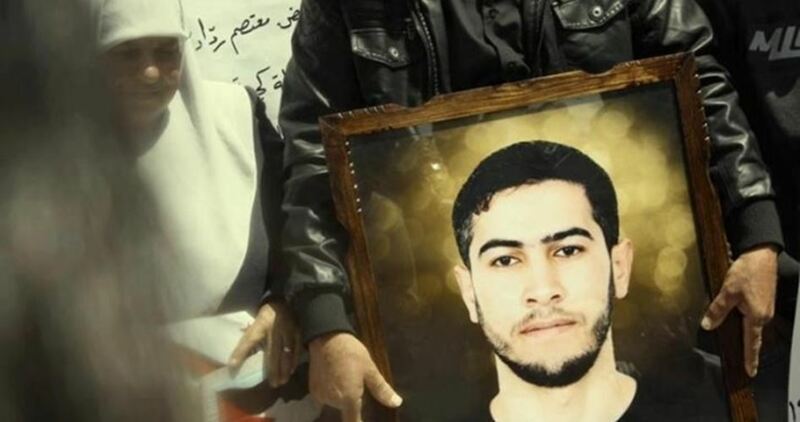 According to a Sunday statement by the Palestinian Prisoners Society, Radad has been diagnosed with an intestinal failure of up to 60%, along with a daily bleeding. He also suffers from a hypertension, tachycardia, heart failure, frequent faints, shortness of breath, and bone pains. The detainee also goes through frequent neurological disorders, vision problems, and impaired blood flow. Radad’s health condition has started to take a turn for the worse since 2006, when he was arrested by the Israeli occupation forces and sent to occupation jails. The situation has gone sharply downhill as a result of the preplanned medical neglect pursued by the Israeli prison authorities. Radad underwent a bowel resection, making his health condition far worse. Held in Israeli lock-ups since 2006, Radad has been serving a 20-year prison term. 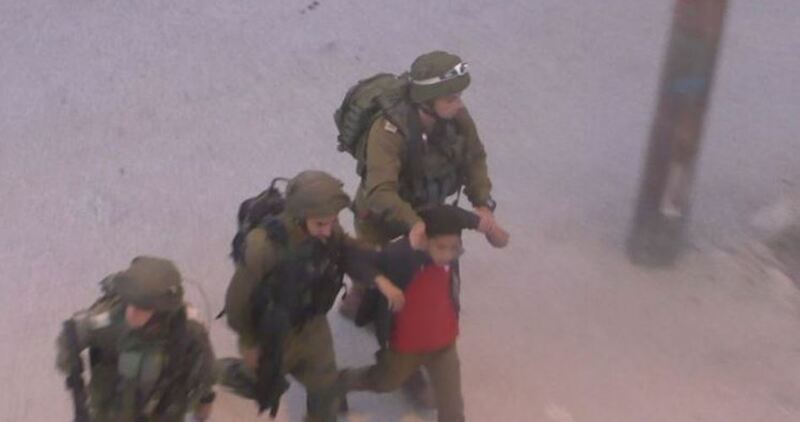 483 Palestinian children were detained by the Israeli occupation forces since the start of 2017, the Prisoners and Ex-Prisoners Committee reported on Sunday. A statement by the Prisoners Committee kept record of the abduction of 483 Palestinian children, aged 17 and below, since the start of 2017. Several detained minors held at the Israeli Ofer lock-up were sentenced administratively, with neither charge nor trial. 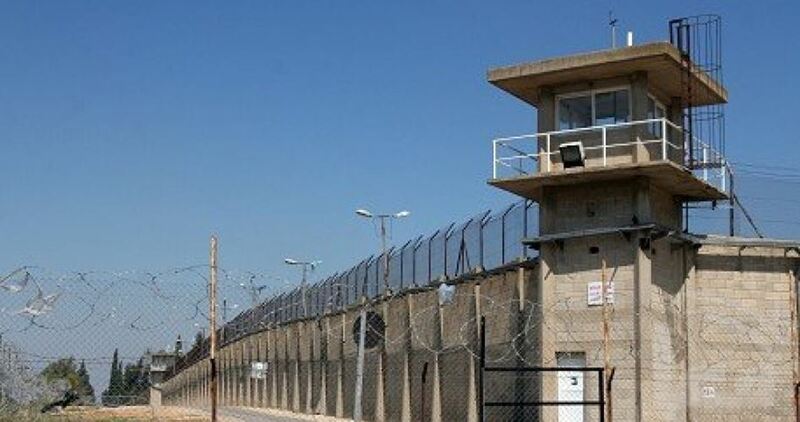 A lawyer from the Prisoners Committee quoted prisoner Luay al-Mensi, monitoring the minors’ section at Ofer jail, as stating that 40 Palestinian children arrived at Ofer lock-up in October, eight among have been subjected to torture. Another minor was kidnapped by the Israeli occupation forces after he was shot and injured. At the same time, the Israeli occupation authorities slapped fines amounting to a total of $21,430 against Palestinian children detained in October. The Israeli prosecution filed indictments against three Palestinian youths on account of their involvement in resistance acts. The Israeli police said in a Sunday statement that Israeli investigators wrapped up probes into charges filed against three Palestinians aged between 17 and 19 years old. The three suspects are charged with implanting an explosive device near the apartheid fence set up around Occupied Jerusalem. Recently, prosecutors at Israel’s Ofer Court filed indictments against Palestinian young men from Jerusalem’s northwest village of Beit Dakou. The list included an attempted anti-occupation attack and the installation of an explosive device on October 30 near the apartheid fence. At the time of the alleged attack, Israeli border police arrested two young men in an ambush set up in the area. The third suspect was kidnapped from his home sometime later. The vehicle carrying the three Palestinians was also seized. The Israeli authorities on Sunday accused a Palestinian resident of Ramallah city of attempting a car-ramming attack in October near Tel Aviv in the 1948 occupied Palestinian territories. The Israeli police said in a statement that investigations have been concluded into the case of Mohammed Safran, 40, who tried to ram Israeli soldiers on 19th October in Rishon LeZion area to the south of Tel Aviv. They claimed that Safran, who did not have a driver's license, stole a truck from Holon city to carry out the planned attack. The Israeli statement noted that Safran tried to escape and was chased by the police before his arrest, adding that he admitted during interrogation to his plan to carry out a vehicular attack for "nationalistic motives". 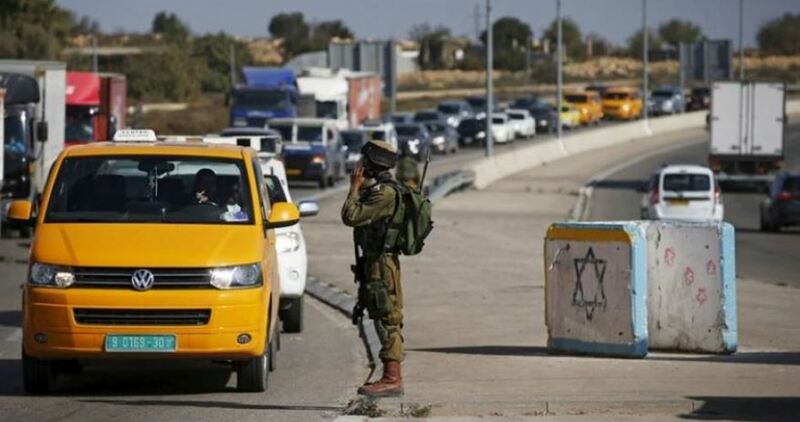 Israeli soldiers abducted, Sunday, a young Palestinian man at a military roadblock, near Mabo Dothan colony, which was illegally built on Palestinian lands in Ya’bad town, southwest of the northern West Bank city of Jenin. The Israeli army claimed that the man “carried a knife,” and that the soldiers believe he intended to stab them, or was on his way to the colony. The soldiers also closed the military roadblock, before initiating an extensive search campaign in the area. 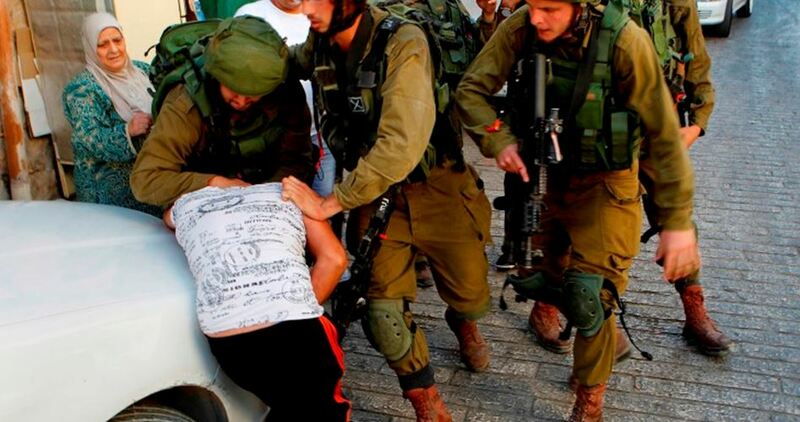 Israeli soldiers abducted, on Sunday at dawn, two Palestinians, including a child, in Beit Ummar town, north of the southern West Bank city of Hebron, and injured several others, in addition to abducting one child in Shu’fat refugee camp, north of Jerusalem. 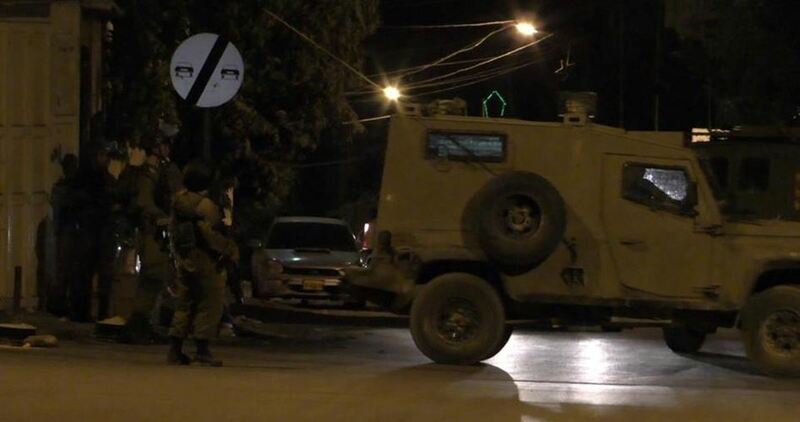 Media sources in Beit Ummar said many army jeeps invaded several areas in the town, before the soldiers broke into and searched many homes, and abducted Amir Mohammad Za’aqeeq, 20, and Ahmad Yousef ‘Alqam, 15. The soldiers also destroyed a computer, owned by Jihad Yousef Alqam, during violent searches of his home, in Beit Ummar. Many youngsters hurled stones at the invading army jeeps, while the soldiers fired gas bombs at them, and at a few homes, causing many Palestinians to suffer the effects of teargas inhalation. Furthermore, the soldiers abducted a child identified as Ahmad Abu Zneid, 14, from his home, in Shu’fat refugee camp, in the center of occupied East Jerusalem. It is worth mentioning that the soldiers invaded an UNRWA school several times overnight, in addition to the western entrance of the refugee camp, and fired many gas bombs and concussion grenades at local youngsters, who hurled stones at the military jeeps. A number of Palestinians were kidnapped by the Israeli occupation forces in an abduction sweep launched across the West Bank at daybreak Sunday. 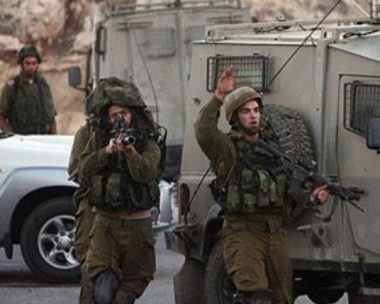 The Israeli army kidnapped seven Palestinian from their homes in the occupied West Bank. 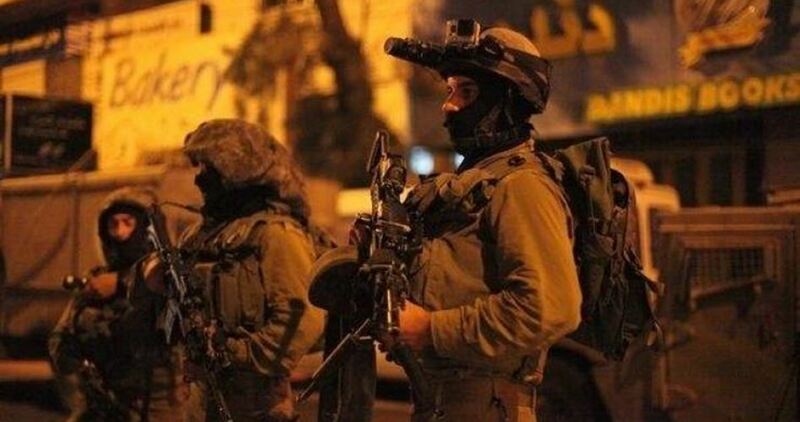 The occupation army claimed responsibility for the abduction of the seven “wanted” Palestinians on allegations of involvement in anti-occupation protests. The Israeli troops also seized thousands of shekels from Palestinian homes in Jenin claiming the seized sum was about to be funneled to anti-occupation organizations. 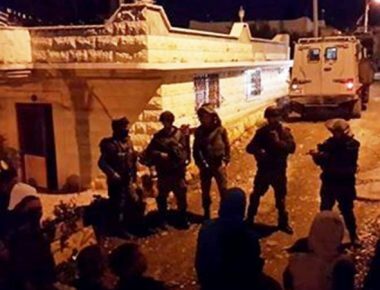 The Israeli forces kidnapped five Palestinians and ransacked civilian homes shortly after they broke into al-Khalil’s northern town of Beit Ummar and Nablus’s eastern refugee camp of Balata. Several Palestinians choked on teargas during clashes that flared up shortly afterwards with the heavily-armed occupation patrols. A number of protesters received field treatment. The list of arrestees included 15-year-old Ahmed Alkam. Others were summoned to questioning in the assault. Sounds of randomly-discharged grenades were also spotted around Balata camp. At the same time, the Israeli army troops summoned the Palestinian citizen Wael Kaabi and his son Nidhal to questioning at an intelligence office in Hawara. Israeli soldiers abducted, earlier on Sunday morning, seven Palestinians, from their homes, in different parts of the occupied West Bank, confiscated money, and detained many schoolteachers. The soldiers stormed and ransacked many homes in Jenin, in northern West Bank, before violently searching them, and illegally confiscated thousands of Shekels. Adnan Ali Saleh, from Balata refugee camp in Nablus. Nidal Abu Fa’oor, from Balata refugee camp in Nablus. Amir Abu Shahin, from Balata refugee camp in Nablus. Ahmad Abu Zneid, from Shu’fat refugee camp, in Jerusalem. Walid Abdul-Mon’em Joudallah, from Nablus, but was taken prisoner from work, in Bethlehem. The soldiers also summoned several Palestinians, including Wa’el Ka’bi and his son Nidal, for interrogation in Huwwara military base, south of Nablus, in northern West Bank. In Jenin, in northern West Bank, the soldiers invaded al-‘Amarna and al-Ba’jawi neighborhoods, in the city, in addition to the villages and towns of Ya’bad, Rommana, Zabbouba, Ta’nak and Toura, and installed many roadblocks, before stopping and searching dozens of Palestinians and cars. In Hebron, in the southern part of the West Bank, the soldiers invaded Masafer Yatta area, south of the city, and briefly detained many schoolteachers, after confiscating a car, owned by Suleiman Abu Sabha. 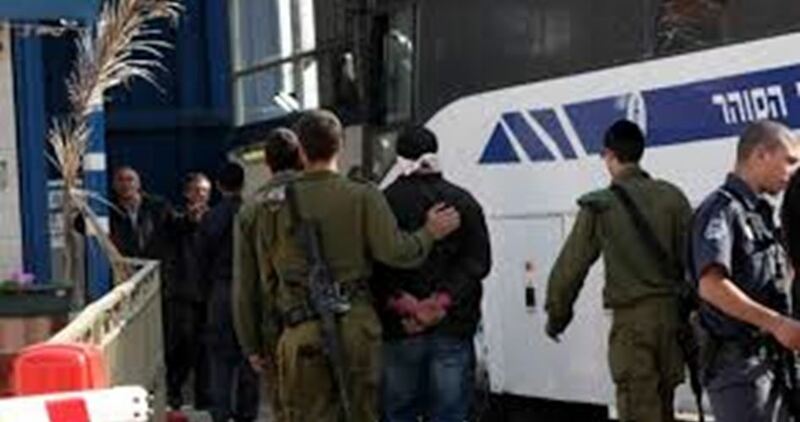 The Israeli occupation forces (IOF) on Saturday morning arrested a Palestinian citizen from Rummanah town to the west of Jenin while he was heading to al-Khalil city. Local sources told the PIC reporter that the IOF soldiers stationed at Etzion checkpoint to the south of Bethlehem city stopped the car Mahmoud Bushnaq, 46, was riding and detained him. They pointed out that arrest campaigns have been recently on the rise at the permanent and temporary checkpoints scattered in the occupied West Bank. 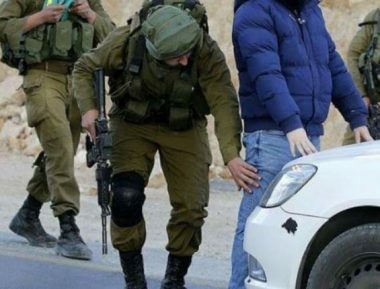 The Israeli Occupation Forces (IOF) arrested, during October, 500 Palestinians including 70 minors and nine women from West Bank and Gaza Strip, rights group reported. Palestine center for prisoners’ studies issued Friday a report documenting Israeli violations over the past month. 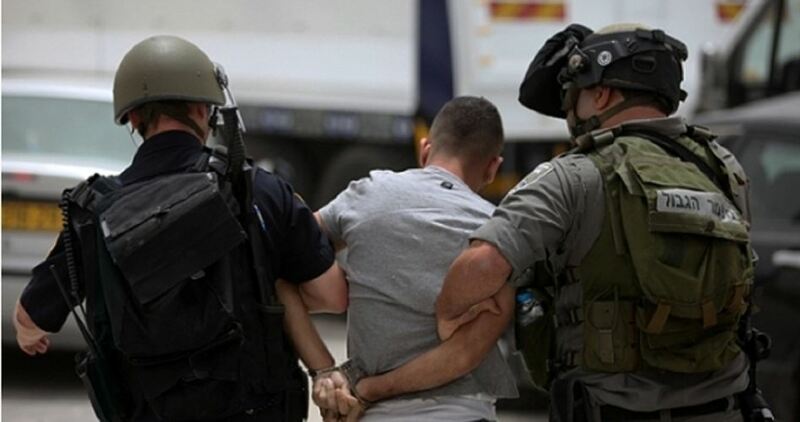 180 of the reported arrests were carried out in occupied Jerusalem including 45 in Issawiya town in one single night, the report revealed. 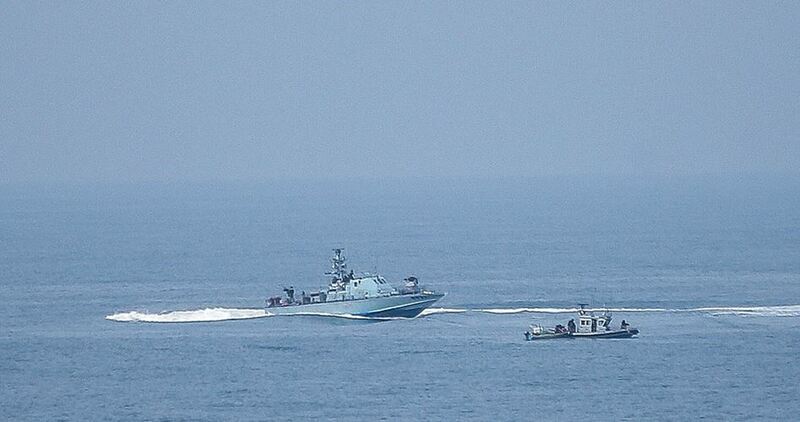 15 other arrests were reported in Gaza Strip including four fishermen detained while sailing off Gaza shores. Also during October, IOF raided Palestinian media companies in West Bank, shutting down production facilities and closing offices in locations including Ramallah, Nablus, al-Khalil and Bethlehem. Companies targeted by the raids included Palmedia, Ramsat and Trans Media, which the Israeli defence ministry accused of "incitement" and of providing production services to Hamas's al-Aqsa and al-Quds television channel. Four journalists were also rounded up after IOF violently stormed their homes. 70 children were also detained during the same reported period including a 12-year-old child who was kidnapped in front of his school, while nine women were rounded up. Meanwhile, 75 administrative detention orders were issued between the period two to six months over the last months, including 35 new orders while 40 orders were extensions. The center pointed out that Israeli jailers continued their break-ins and attacks against Palestinians prisoners during October.